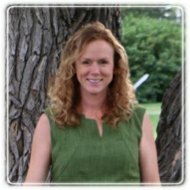 Okotoks Therapist: Jennifer Rioux - Therapist T1S 2C3. I am a Registered Psychologist with a welcoming office located in Okotoks, Alberta. I love our community and am proud to work with the Foothills Community. I am registered with the College of Alberta Psychologist, Gottman Leader and a member with Psychologists Association of Alberta. LGBTQ affirming. Addiction, Recovery and Relapse Prevention, Depressive Disorders, Anxiety Disorders, self-Harm, Post Traumatic Stress Disorder, trauma Recovery including Unresolved childhood trauma, grief and Loss, infertility, sexual and/or gender Identity. Marriage and couples therapy including healing from affairs and trauma. Cognitive Behavioural TherapyNarrative TherapyProlonged Exposure Therapy (PE) which is an effective therapy to relieve symptoms of post traumatic stress disorder (PTSD); Gottman Method level 1 and 2 for building connection, trust, communication and understanding with couples, I am also a Gottman 7 Principles for Making Marriage Work Leader, DBT therapy skills for personality disorders and managing intense emotions, solution focused therapy that provides brief strength based therapy. As your therapist, I hope to help you recognize your strengths and potential, increase positive life experiences, and build capacity to cope with life's struggles.I value the importance of our working relationship and want to work with you towards your desired goals. At times we all may need support through life's challenges to reach our goals. Some time's obstacles are within ourselves, together we can look at the thoughts, feelings, and behaviours that are keeping you stuck in unhealthy or unsatisfying patterns and develop new strategies to increase your life satisfaction and overall wellness. I look forward to meeting with you. You may contact me for a brief phone consultation or make your initial appointment. I offer day and evening appointments to make our meetings more convenient for you.